Staetite Fasteners offer a comprehensive range of standard products to the Automotive, Electrical, Commercial and Industrial Markets. 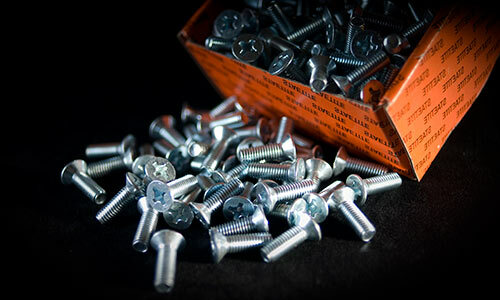 Our standard range of fasteners consists of Self Tapping Screws, Metal Thread Screws, Hexagon Bolts, Set Screws and Hexagon Nuts all zinc silver plated. Supports both Metric and Imperial requirements to nominated Australian and British Standards in various property classes. Alternate finish products such as Black Zinc Plate are also listed within our product catalogue.